If your Bongo wasn’t manufactured with the inclusion of a clock, a useful extra is to fit one yourself. Quite often, radio/entertainment systems will have their own clocks, but unless they are switched on, they may not show permanently. 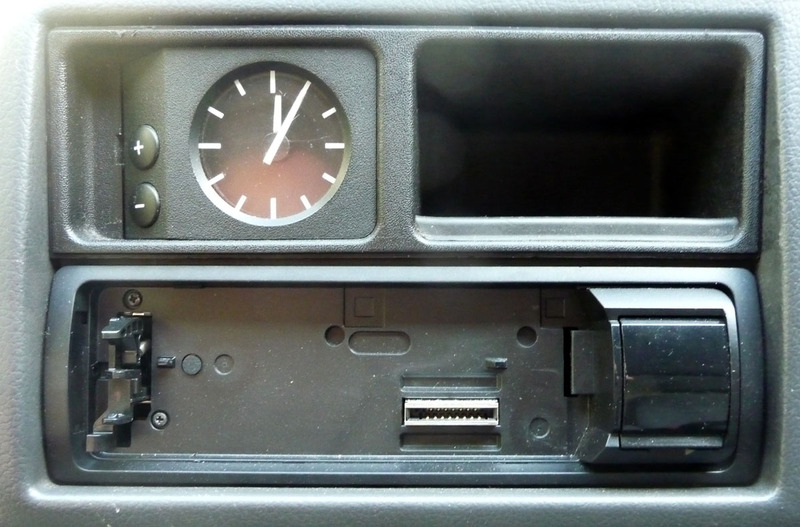 One solution chosen by a few Bongonauts, has been to fit a BMW analogue clock, Shown here. This is a neat solution and just happens to fit as a replacement to the Bongo’s cubbyhole, situated above or below a radio unit. When purchasing one of these clocks, check to see if you also get the micro plug and cable that goes into the back of it. If not, you may have to open up the clock and solder three small wires yourself. (Connections are: 12V positive, -Ve (Earth) and night illumination). (These clocks seem to appear regularly on eBay).